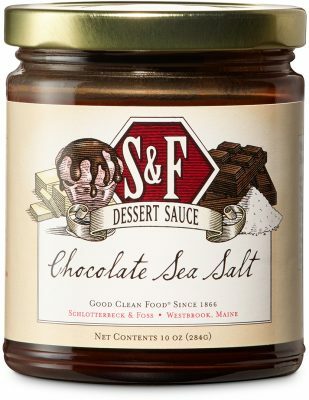 Not just for ice cream, this decadent sauce is made from breakfast grade cocoa, butter, cane sugar, milk, and just a hint of sea salt. Spoon over brownie sundaes. Spread onto waffles or toast. Drizzle over goat cheese crostini and top with toasted almonds. Cane Sugar, Milk, Glucose Syrup, Coconut Oil, Chocolate Liquor, Breakfast Grade Cocoa (processed with alkali), Butter (salted; milk), Natural Flavors, Sea Salt, Sunflower Lecithin, Carrageenan.